When it comes to skincare you people know how much I love the Body Shop products. Specially their Vitamin E & Aloe range. My skin is very sensitive & that is the reason I love The Body Shop products. They are very gentle on my skin. 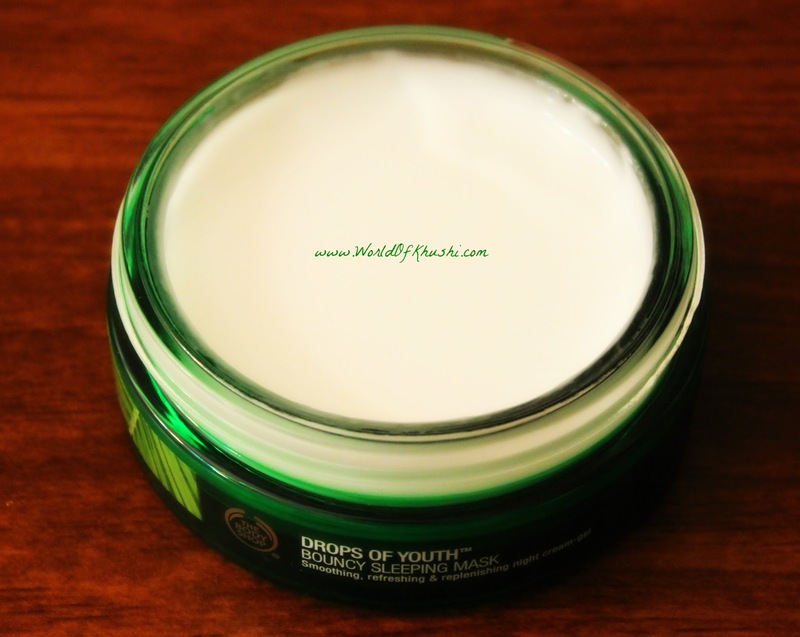 In today's post I am Reviewing another product from The Body Shop. This time it's Face Mask, but this is not like any other regular Mask. It is Sleeping Mask! Yes you heard correct you apply this mask before Sleeping & when you get up in the morning you will get a good Hydrated skin. That is what the product claims! 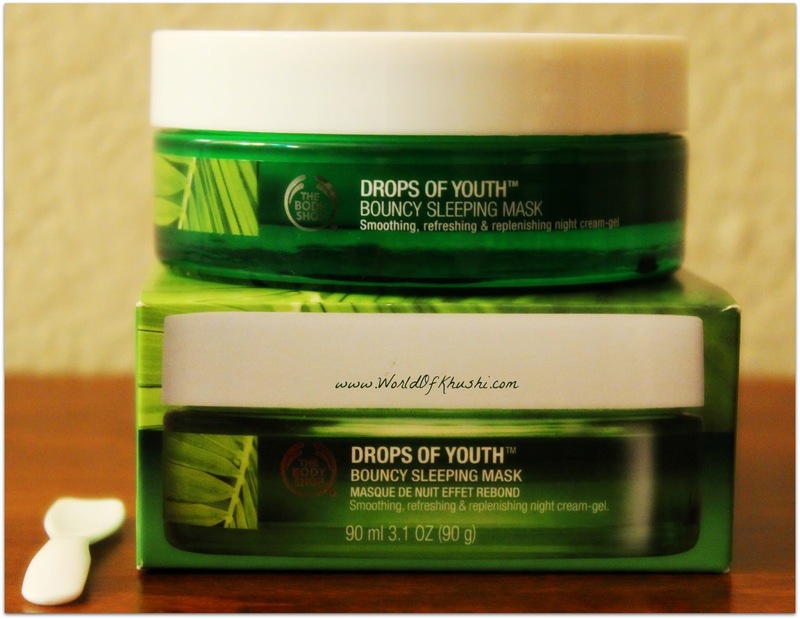 Below is my full Review for Drops Of Youth™ Bouncy Sleeping Mask by The Body Shop. I am using this Mask from last two years & have a pretty good experience with it. My skin gets drier in Winters & sometimes even in Summer it gets dehydrated. From last 4-5 months I'm getting dry patches also. In 2015 I got the sample of this mask. I tried it for 3 to 4 times & decided to buy full product. As the quantity of this pack is very much & it lasts you for long that's why I wanted to be sure before buying it. I personally feel that trying samples is good idea. Guys! If you get samples from the products then go for it, try it for two to four times. If you like the product then go ahead & buy the full size, this will help to save money as there is no chance that after buying you wouldn't like the product & you will not waste your product too. From last year I'm using this product frequently whenever I get dry patches. I apply it all over the face before bed time & leave it overnight. This product hydrates my skin & reduces dry patches also. Usually I like to apply once in 15 days if I have normal skin. But when my skin gets so many dry-patches I use it regularly like 2 to 3 times per week. After 3-4 uses it started reducing my dry-patches. I absolutely love this product. This is the best Sleep Mask for people who are too lazy to follow skin care routine like me! Sensitive! Currently having redness and dry patches. After cleansing my face; I take a pea size product on my hands and start applying all over my face & neck like I apply my moisturizer, then I go to sleep. In morning, I wash this with normal water in circular motion without using any face wash. After that I follow up with my moisturizer. Although it says; apply their Concentrate under Sleeping Mask but I like to apply only Mask. This product hydrated and rejuvenated my skin, reduced dry patches & gave a healthy-soft looking texture. It doesn't break out any pimples neither cured the existing ones. If you're looking for miracle product which hide blemishes or remove pimple marks overnight then this is definitely not for you! This Mask is more for hydration and improving the texture of the skin. Perfect for lazy people; Easy to apply & not messy whatsoever. Yes if you apply too much product then it gets messy otherwise very good. And don't worry it doesn't put any stain on the clothes or pillow while sleeping. 4. It's non-greasy & non-sticky. 7. Very light on face. 8. Suitable for sensitive skin. 9. Little goes a long. 11. Comes with a Spatula. 14. Best for Lazy people like me! 1. Big glass jar Packaging! Not at all travel friendly. 2. Pricey!! But Yes! quantity is pretty good. 3. Be cautious while applying, Less is More here. If you apply too much product, you end up getting sticky face. I love this Sleeping Mask. I like this product, wish it can do other things too. For hydration and improving texture i'll give it 5/5. This is my full Review for DROPS OF YOUTH™ BOUNCY SLEEPING MASK By The Body Shop. I hope you guys found this Review useful. This Sleeping Mask works for me & I hope this will work for you guys too. :) Remember guys less is more so don't apply too much. If you are little confused with this product then just go to The Body Shop counter and ask them for Sample. Do try couple of time & then go ahead and buy it. If you try this product then please share your feedback with me. Take Care Guys!! 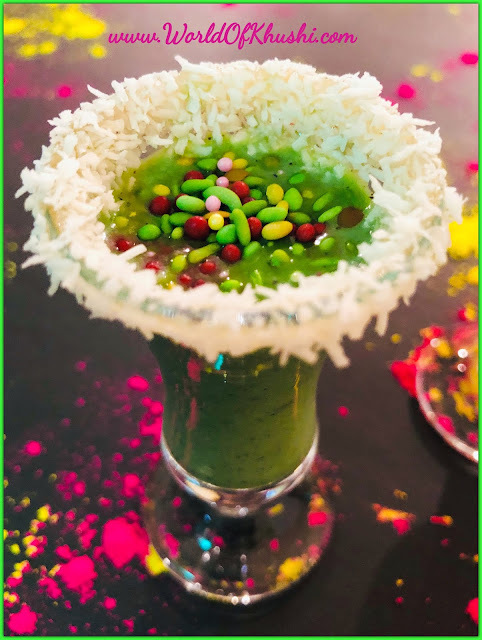 Stay tuned with Khushi's World for more such Reviews. If you guys want me to do any Review of your choice then do let me know! !